Thelma De Wald Dalman’s son Dennis, age 4, holds a newspaper covering an event that changed the world. Courtesy of Thelma Dalman. 1945 Dennis Dalman age 4 on his grandparents porch, Vallejo, Calif. Courtesy of Thelma Dalman. 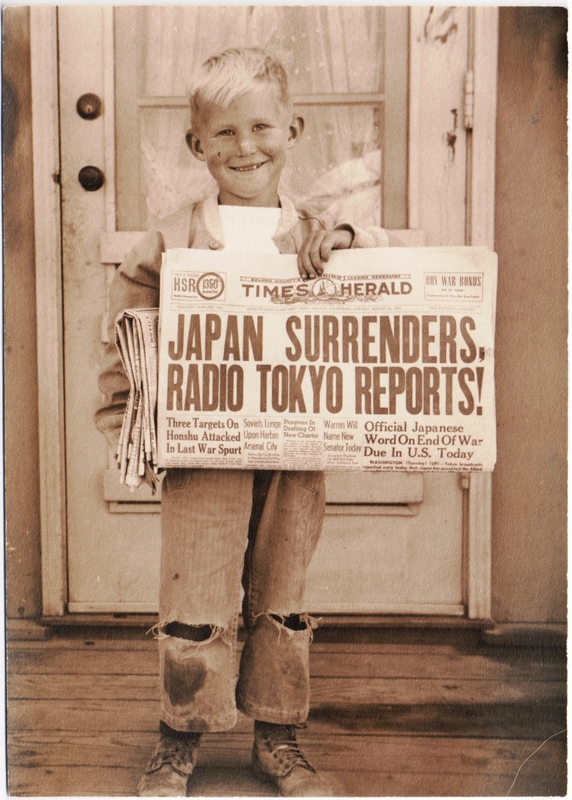 This entry was posted in Vintage Photos, War and tagged 1945, Japan Surrenders, War. Bookmark the permalink.